Where did the time go? Three and a half years ago I remember stepping onto this campus for the first extended time during orientation, and thinking is this really the place for me? 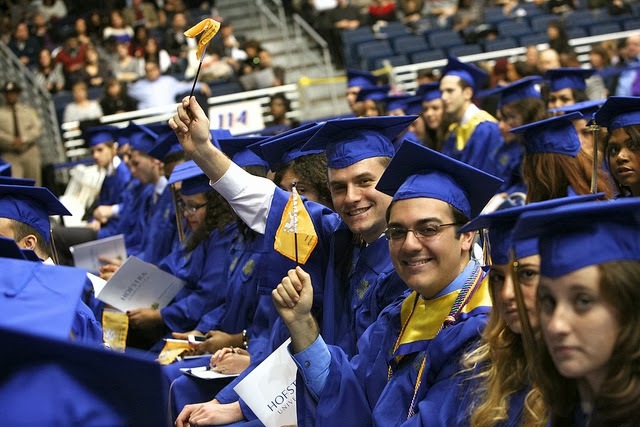 After all the classes, nightly “Dutch runs”, and even a presidential debate, it’s time for the Class of 2014 to write the final pages in their chapter of Hofstra’s history. The concept of graduating college has brought up a lot of different thoughts and emotions, but one that has come up a few times for me is the fact that I will no longer have to go to school. Since I was five years old Monday through Friday meant waking up at early as 5:45 a.m. to get ready to go to class. Over the last four years there have even been some weekends where I have felt like I have been in class all day. I’m curious to see if I get the “back to school” itch at the end of August, but for the first time in pretty much my entire life, there will be no school to go back too. For every member of the senior class, each one of us has left an impression at Hofstra, no matter how big or small. Debate 2012 is a memory that all of us will cherish forever. It was amazing how quickly the campus was transformed, seemingly overnight, into the place where Barack Obama and Mitt Romney would go at it in their battle of the presidency. The way the campus came together in the wake of Hurricane Sandy was a silver lining within arguably the most challenging thing we faced while at Hofstra. Athletically we also were the last class to see Charles Jenkins grace the basketball court for the Pride, who broke the programs all-time scoring record our freshman year. Now Seniors there is still some pencil pushing and paperwork to go through before we are handed that diploma on May 18. If you applied for graduation through your portal before Oct. 1 you’re good on that front; if you did not, you have to do it in person at Student Financial Services in Memorial Hall. 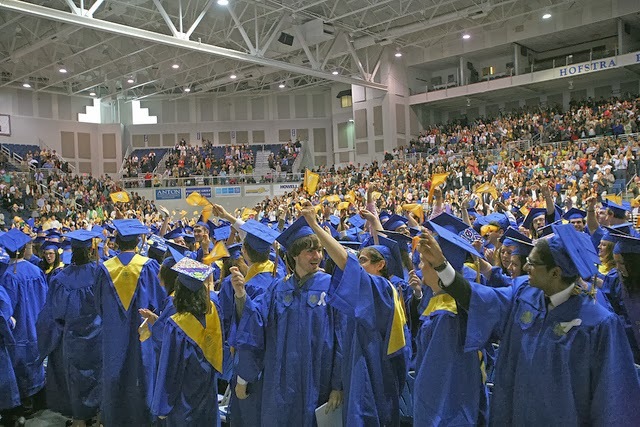 If you did not attend the graduation fair last week, you can head to www.hofstra.edu/academicattire to confirm your attendance and order a cap and gown. For Spring commencement the orders must be submitted by April 18. I think the commencement ceremony will be a cornucopia of emotion. On one hand it’s a sign of accomplishment, a moment of pride, and a lifelong goal achieved. On the other once commencement ends the fear and unknown that is “the real world” begins. Where I’ll be five months from now, I’m still not sure, but I am certain I leave no regrets behind. I truly am proud to call myself a member of the Hofstra Pride and I know this was the right place for me.